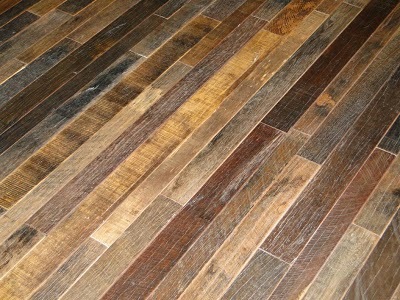 You amaze and inspire me with your many uses for reclaimed wood! I know whatever you do will be amazing. Sounds gorgeous, but reclaimed flooring here is more expensive than new! Of course if you can find a house where they would let YOU remove it, you could probably get a great deal or free! MY hubby would never go the trouble! Your inspirations are amazing! 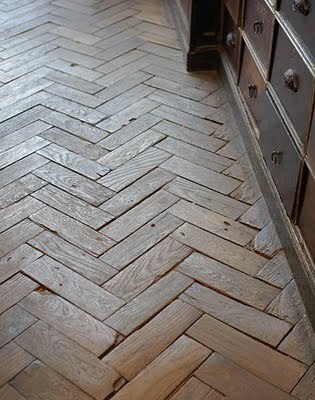 I love the layout of the herringbone and all the color variations. I can't wait to see what you come up with. Love the 2nd one and last two, hate the herringbone. Would be awful to walk in bare feet on. IMHO. i hate my tile and grout too! i've had it professionaly cleaned and it still looks dirty. i think we are going to put down hardwoods in there to match what's down in the den and dining room. Ohmygosh! I am so excited to see what you come up with! Your blog is a must read for me- I love everything you do! 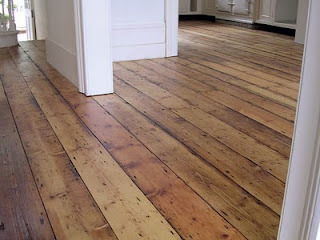 Floorboards will look much better - Look forward to seeing the finished result! Love this! It's going to look great! I love the look of the varying woods. my tile isnt cracked but I have disliked it for every day of the 7 years its been down. I love all your wood samples and cant wait to see which you choose.. I am hoping you have some easy brilliant way to get that tile up:) and the grout and mastic below it.. those are the only things that have held me back from wood, so I'll be waiting to see that ya do..
Hi Diana! Oh boy, I'm playing catch up with a few of your posts since being away in MI, but man is it fun! You have been busy with lots of neat projects! I can't wait to see what you do with the floor. It is funny, we have a similar problem with our tile flooring... I hate it and it is in bad shape. It is a project my hubby has to take on, hopefully he will do it soon! Anyway, I can't wait to see how it turns out! Whatever you choose, it will be stunning! Okay, I'm SUPER excited to see what you end up doing! I am crazy about your reclaimed wood posts! I know this one will be no exception! Where does someone get reclaimed wood? Tile cracks are never cool. Hardwood for a kitchen floor It’s definitely a good idea! 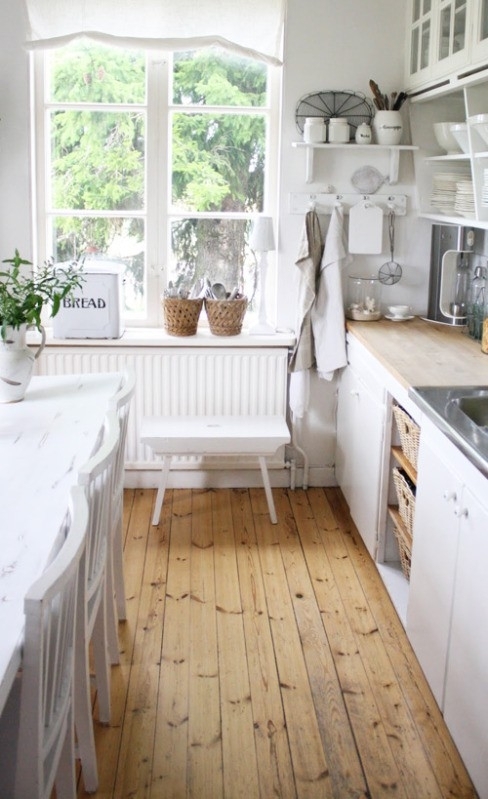 Wood floorings add charm, value and comfort to your kitchen space. They are warm and great for room designs. Good luck, Diana! 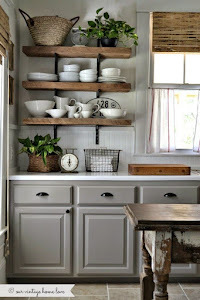 The reclaimed wood look is one that I love in the kitchen, helps to give an authentic, rustic look. What type of design do you have in your bathroom? If you want that rustic and vintage look for your kitchen, then, you selected the right type of flooring. Reclaimed wood looks a bit old, but with a proper maintenance and waxing, it should be able to regain its former appeal. Aside from countertops, lighting fixtures, and other kitchen accessories, the floor design is also important as it gives the kitchen a whole new look. I suggest that households should go with quality flooring that could last for years. 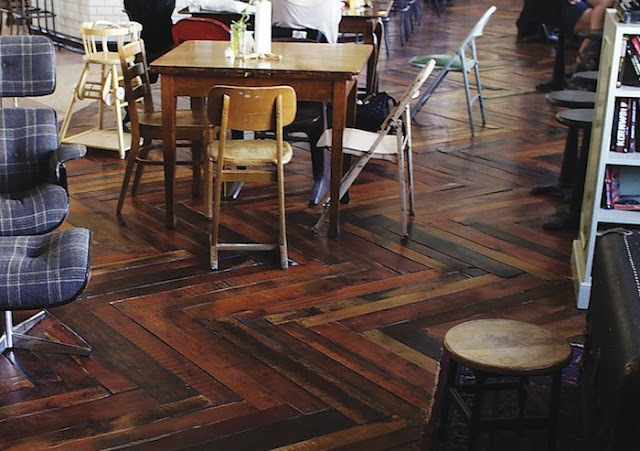 Be it a marble, ceramic, or wooden type, the lifespan should be prioritized in choosing flooring type.